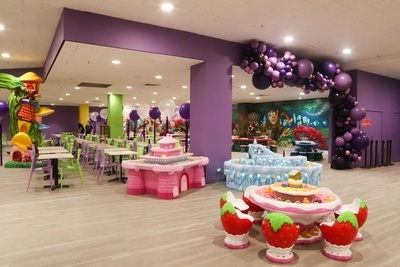 The indoor playcentre franchise chain Monkey Mania has opened in Eastland Shopping Centre, and when we say in we literally mean within the centre itself. 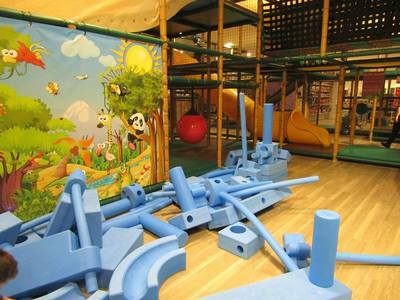 Unlike other playcentres, Monkey Mania Eastland can be found in MYER on level 3. Yep! 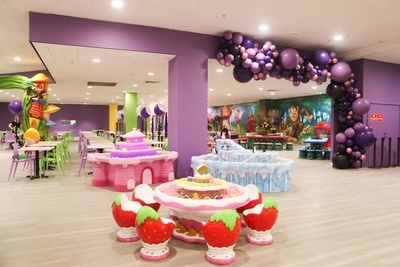 Not the entire floor but a portion of MYER is now a dedicated cafe and play space for kids. 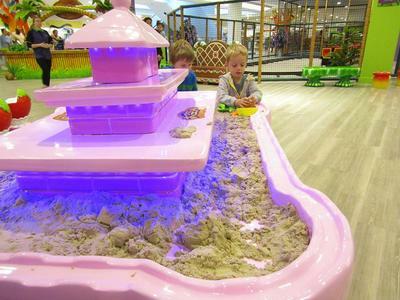 Offering a large open-plan play area with interesting features such as kinetic sand play pits, large blue construction play equipment and a little house with bricks to build, there's enough to do here to keep the under 5s happy for hours. 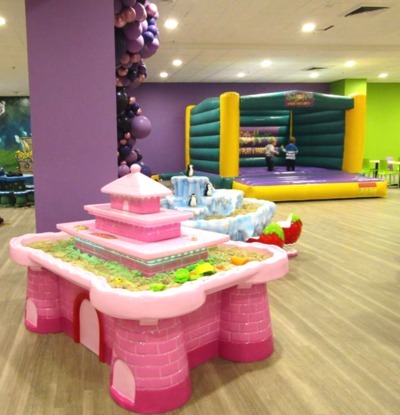 Other play areas of interest are the cannon ball pit, a fenced space for the under 3s, jumping castle and minature electric train, which runs sporadically throughout the day (get your tokens from the front desk). Monkey Mania in Eastland offers very reasonably priced food both hot and cold. Note that no outside food is permitted into the playcentre. Monkey Mania is open from 9:30am - 5pm Monday - Saturdays and from 10am on Sundays. Late night openings on Thursdays till 7pm and Fridays till 8pm. Free parking is available in Eastland Shopping Centre for three hours and the best entrance to head to is West C just off Ringwood Street. Costs: Weekday: $12.50 Weekend: $14.50. If you buy a yearly membership ($12 per year) entries fees are Weekday: $10.50 Weekend: $12.50 and "Toddler Tuesdays" entries are only $6 per child. Adult entry: $4.50 includes coffee.